I don’t think these women are uncommon. I don’t think they’re an exception to some womanly rule. I think that these women are far more common than we realize. We’ve bought into the lie for too long that says women must be competitive and catty. That we must tear each other down to get ahead. That we must go it alone. And although there are certainly women out there who fit these descriptions—we’ve all had unfortunate experiences with women who behaved that way—I think they are much more the exception than the rule. There are so many more of us that want to build relationships with others. We want to connect and encourage each other and love well. We want this for us, and we want this for our daughters. No longer will we stand by while womanhood—sisterhood—gets a bad rap. We’ll stand with and for each other. We'll cheer each other on and share in one another's stories. And we'll do it all knowing little eyes are watching us, observing our behavior, and learning to love their own young friends well. We'll do it because we know that we need each other. 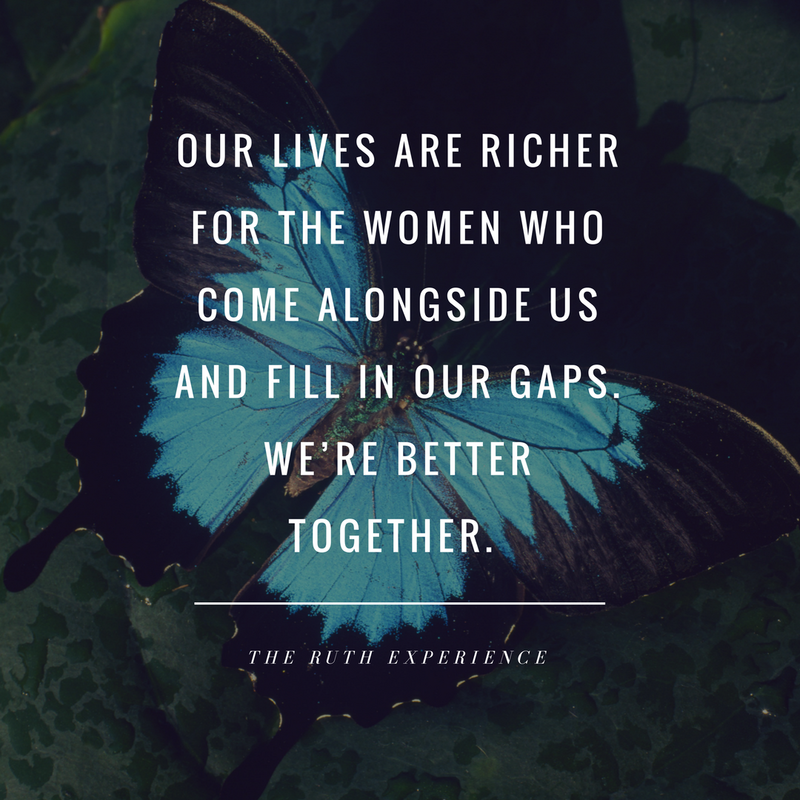 Because we know that our lives are richer for the women who come alongside us and fill in our gaps. Because we’re better together.